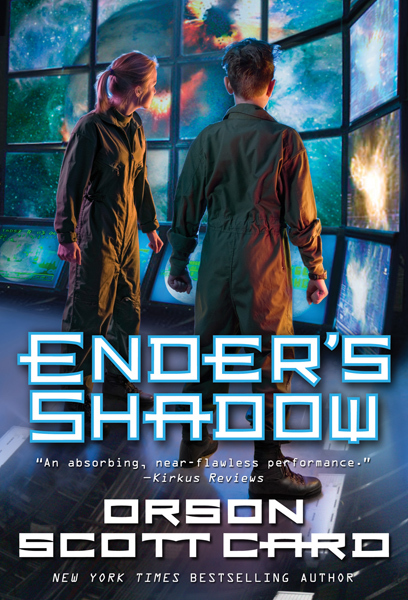 Hailed as a return to form for Orson Scott Card after a string of disappointments, Ender's Shadow hits the reset button on the whole game. This time, however, the viewpoint character is Bean, the cocky toddler genius who becomes Ender's confidant and only real friend throughout the grueling ordeal of Battle School. This was a risky venture for Card. Had it gone wrong, the book would have been contemptuously dismissed as a case of coasting on past glories. In fact, Ender's Shadow effortlessly recaptures the entertainment value that made Ender's Game such an immediate and enduring bestseller. Gone are the navel-gazing, ruminative narratives of Xenocide and Children of the Mind, often thought-provoking but just as often tedious. In their place, crisp storytelling with an unobstructed forward momentum not seen since the original. But still Card takes admirable risks here. Bean is arguably a more interesting and deeper protagonist than Ender. And there's a shift in tone given to the original story's now-famous climax that I'm sure I'll still be thinking about for some time. Ender's Shadow is a character study of Bean, whom we meet as no more than a toddler, living in conditions of such deprivation as a street urchin in Rotterdam that it's a wonder he's survived to age four. It's immediately clear that to do this, he's no ordinary boy. His intelligence is easily on the level of an adult's, though he's emotionally stunted as only a tiny child with limited experience of life can be. He is rescued from his life among the "families" of almost-feral street children — a wonderfully vivid series of chapters with Card at the very top of his game — by a compassionate nun who brings him to the attention of the International Fleet as a possible candidate for Battle School. Battle School doesn't want Bean at first. He's too little, for one thing, and has personality deficiencies. But his test scores are off the charts, even higher in some instances than those of I.F. 's star pupil, Ender Wiggin, the boy they're grooming to lead them to victory against the ravenous Buggers. Bean's vastly superior brain is a little too good to be true. He's been genetically — and illegally — enhanced. And as soon as he's through Battle School's airlocks he promptly becomes a thorn in the sides of every adult trainer and commander there. 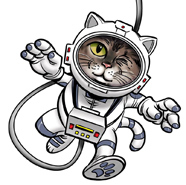 Bean assiduously avoids the fantasy game designed to analyze students' personalities and thought processes, instead spending his time sneaking into unauthorized areas through air ducts and cracking the security of the whole station's computer system. Once he learns of Ender — mainly through hearing himself constantly compared to the boy — Bean becomes determined to do what he can to get a command of his own, to learn exactly what it is that makes Ender such an effortless leader (a skill Bean, for all his modified intellect and knack for strategy, wholly lacks). In the end, it may come down to one or the other of them being humanity's only hope against the next Bugger onslaught. Bean can think his way through anything. But he finds he has to develop the social skills that allow for friendships and the type of loyalty a born commander like Ender has naturally. But while he's weaker in charisma than Ender, he's also less easily worn down by the ruthless pace of the wargames Battle School puts them through. And unlike Ender, he's able, just through brute force logic, to anticipate exactly what the I.F. is up to, and what the ramifications might mean for a future world war once the Buggers are defeated and Earth's superpowers want to lay a claim on the child warriors Battle School has trained. As Bean is Ender's foil, the point of view of Ender's Shadow is significantly different in several ways than that of Ender's Game. This not only enables the book to avoid the curse of self-plagiarism with ease, it also lets Card focus on some themes that were either minor, tangential, or otherwise irrelevant in the original novel. And it gives a whole new flavor to the story's ending. I think it's a pretty safe bet that just about anyone who goes into Shadow does so having already read Game. In fact, that's not strictly necessary, as the book can conceivably be read as a stand-alone. But given Game's perennial popularity, I think the bet is still worth taking that the ending — involving the deception that leads Ender to destroy the Buggers' homeworld — is known to those curious about Shadow. In Game, the climax was shocking not only for the deception that Ender was under, but the cumulative psychological effects of the brutal training regimen that Ender and his fellow students endured to get to that point. Ender's Game was a parable about how children are always the most tragic innocent victims of war, and depicted a worst-case scenario in which children are coldly transformed into the very tools of war, and done so by those whose job it should be to protect them and their innocence, not exploit it in a way that allows them the distance to grant themselves convenient moral absolution. That isn't what we're left with at the end of Shadow. And at first I wasn't sure whether to be bothered by this. Could Card have negated the themes that gave his original its power? On reflection I don't think so, and this all comes back to his choice of coming at the story from another protagonist's point of view, a protagonist in many ways similar to, yet so very unalike Ender. Bean is a pragmatist. He doesn't approve of what Battle School's up to either. But that's because he knows, quite correctly, that they're not as smart as he is and that there's always more at stake than what they're letting on. Bean simply isn't the innocent that Ender is. He has an appreciation of the power dynamics of war and politics that allows him to understand that there are times you don't reveal what you know, because as much as you may disdain what's going on around you, there's often a bigger picture that's more important. Not, perhaps, entirely believable for any normal 7-year-old boy. But Bean is, shall we say, above normal as none of his gifted fellow trainees are. Another fact — series continuity — makes it easier to see that Card isn't betraying the original novel's ideas. Ender's Shadow occurs before Ender makes the choice to renounce and atone for his deeds, and before Valentine writes the Demosthenes essay in which she invents the heirarchy that fits alien life into such categories as ramen (those with whom we can get along, which the Buggers turn out to be) and varelse (those with whom war simply cannot be avoided because the universe ain't big enough for the both of us). So if Bean seems a little too upbeat about a resolution that left you winded in the first book, at least he can be excused for not knowing the Bugger's potential either, despite his nearly preternatural ability to foresee the long term results of damn near any situation. 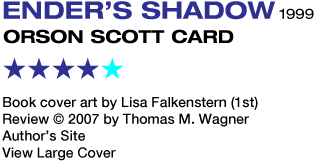 Far from resting on his laurels, Orson Scott Card proved in Ender's Shadow that going back to your roots is, for many artists, just the thing to lift you out of a creative malaise. There's a lot of light in this Shadow, with the promise that Card may have more great stories left in him yet. Followed by Shadow of the Hegemon.